Festive Feast Supper Night including our first ever Christmas silent disco will be on the Friday 1st December, 4 course set menu, the cost is £25 per person, with bring your own drinks policy. Places are limited to 30 people per evening and sell out fast. The last event was sold out so don’t delay, book today, on 01202 900899. Christmas Wreath Making workshop – Monday, 4th December at 7pm – 9pm. The early bird price is £35 until 17th November then increases to £40. The workshop includes all materials, expert tuition from an experienced florist, a glass of Prosecco and mince pie. Bring your friends or family and join in the fun. Booking is essential either by email or pop into the cafe. The Not-The-Office Christmas Party with Silent Disco is being held on Friday, 8th December from 7pm – 11pm. The evening will include a complimentary welcome cocktail, Bread & Olives, Dorset Inspired Festive Tapas and Dessert. Bring your Own Alcohol. Please bring with you a £5 Secret Santa Present. 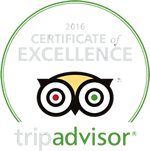 Booking is essential either by email or pop into the cafe for further information. Voting has started for the Primary Times Reader Star Awards 2017. To vote for your favourite local family-friendly places and entertainment in the Dorset area, Primary Times are asking parents to complete an online survey that asks a series of straight-forward questions. The results provide a vital snapshot of what’s tops with families. 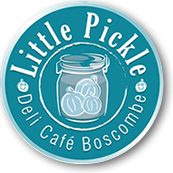 http://www.littlepickledelicafe.co.uk/wordpress/wp-content/uploads/2017/09/STAR-AWARD-Vote-Now-2017.jpg 2244 2244 Karen Merryweather http://www.littlepickledelicafe.co.uk/wordpress/wp-content/uploads/2016/05/little-pickle-deli-cafe-boscombe.png Karen Merryweather2017-09-19 10:32:482018-02-15 17:09:43Are we your family favourite?